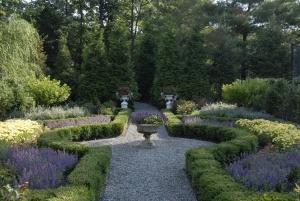 One of the services we work on most here, and consider to be our specialty, is how to design a garden. On residential or commercial properties, how to design a garden is a thorough and intricate process. Our designers and architects take a ton of time in creating the perfect garden design catered to each unique client and property. Unsure where to begin or how to design a garden best suited for your home? Consider your property type and style and what would match best well with your home. Is it a more modern or traditional setting? Do you prefer formal or informal gardens? The size of your property for the garden design is an important factor to remember from the beginning phases. The weather elements are imperative as well – depending on the shade or sun in that section of the property will determine the best plant and flower specimens to use in the garden. Soil conditions as well need to be in the best condition in order to properly cater to your garden. In our process of how to design a garden, our team works closely with each client to understand their vision and preferences when it comes to garden types. We go over all types of designs and layouts as well as allowing clients to hand select the specimens they would like to include. There varietals that are available are endless – however, we make sure the specimens chosen are able to thrive on your specific property. Learning how to design a garden is an art form, that our team has studied intensively and have had years of experience under their belts. We take a lot of pride in creating garden designs to be admired and loved and cared for in all the years to come. A garden design is an investment that brings a new element of beauty to a home or property for all to enjoy.